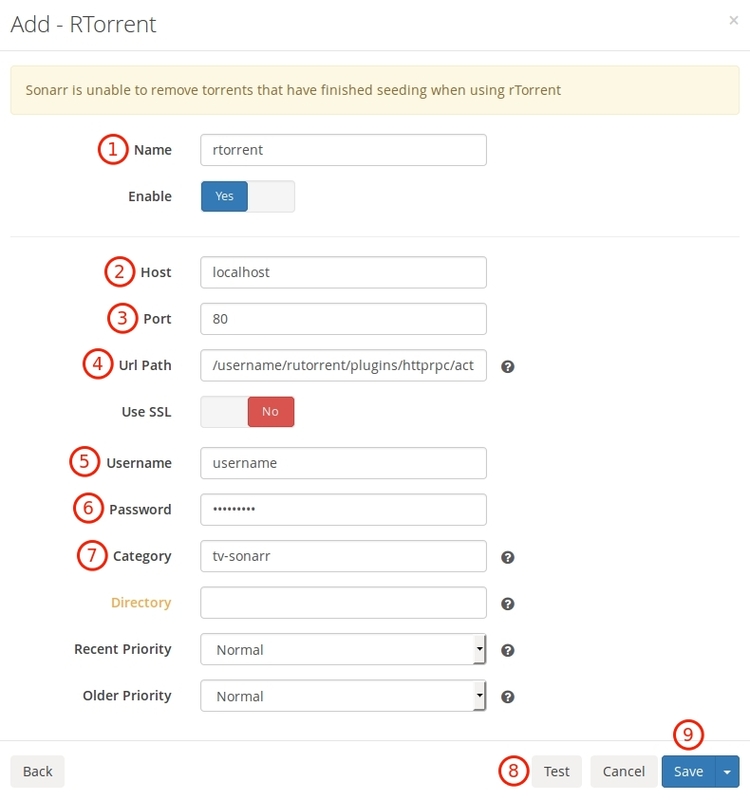 This article describes how to configure sonarr with bittorrent clients: rTorrent, Deluge and Transmission. 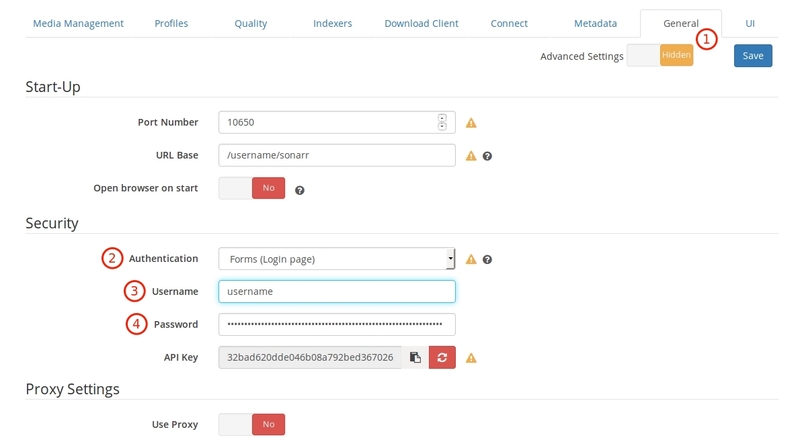 First, you should configure Sonarr authentication because by default it's not protected and everyone can log in without any authorization. 1. Click on General tab. 2. Choose Forms (Login page) from dropdown menu. 3-4. Fill it with your preferred username and password which you will use to log in to your Sonarr. Now you need to restart Sonarr to get changes effected. Please restart it from our manager. After the restart your should be asked for username and password. 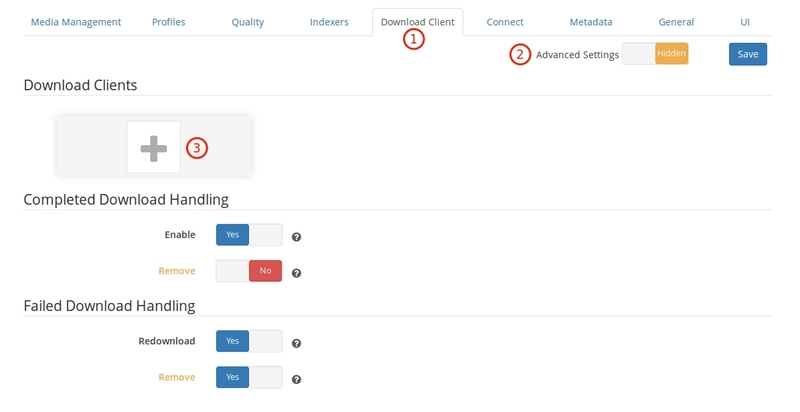 Now you can configure your preferred bittorrent client in your Sonarr. Configuration is very simple and a description is practically not required, everything can be configured as on screenshots below. The only thing you need to do is to replace the username everywhere with your seedbox username and fill your seedbox password in password fields. 1. Click on Download Client tab. 3. Click to add rtorrent,deluge,transmission. 1. Name it as you wish. 4. Url Path: /username/rutorrent/plugins/httprpc/action.php , where username is your seedbox username. 5-6. Fill it with your seedbox username and password. 7. If you haven't configured any rtorrent labels, you need to leave it empty, otherwise you will get an error. 8-9. Click Test to check if everything is OK and Save. 4. 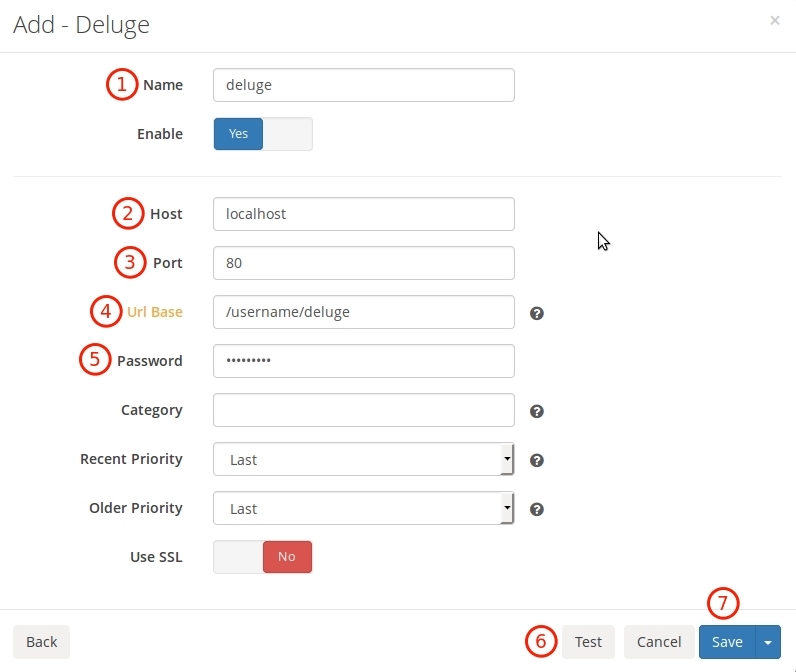 Url Base: /username/deluge , where username is your seedbox username. 6-7. Click Test to check if everything is OK and Save. 4. Url Base: /username/transmission, where username is your seedbox username. 5-6. Your seedbox password and username. 7. Click Test to check if everything is OK and Save.